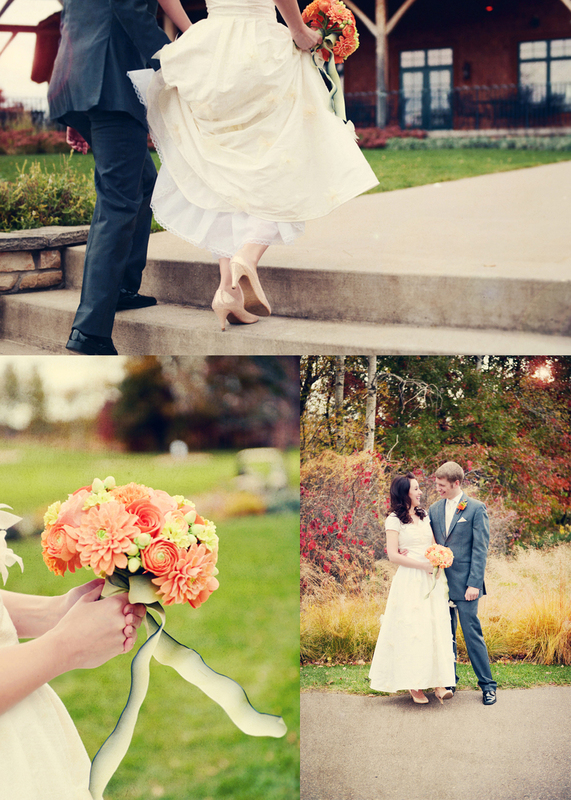 One of the reasons i went back to Minnesota when i did was so i could attend Andy and Kirsten's wedding! If you don't remember, i had the pleasure of shooting their engagement photos! check them out again HERE! This time i came prepared with my camera (of course) but got to spend the time with friends and family. My best friend is the groom's sister, and my brother was a groomsmen. So not only did i get to see this fabulous couple, but spend time with other close friends, it was perfect. I also got to meet Kirsten's twin Jessica (in the pic below!) and yup, i couldn't help but love her entire family! i should've known after meeting kirsten the first time too and thinking how amazing she was! so here's a few photos of Andy and Kirsten's big day at the Refuge golf club in Oak Grove! i wasn't able to put my camera down, there was so many amazing details, laughter, and beauty this whole day. i'm so glad i was able to be there for your special day, and yes. i cried. congratulations you two, i couldn't be happier, and i can't wait to come back and have some more fun photo shoots and coffee dates this summer! ohh! and one more day to sign up for the contest going on! a $40 value frame from organic bloom. click HERE to sign up for one!